Veteran actor Kabir Bedi rates Ranbir Kapoor and Shahid Kapoor as the two best young actors in Bollywood today. "But frankly there is dearth of young bright talented actors coming through. That's what Bollywood lacks today,'' feels Bedi who is one of the few Indian actors to make it to Hollywood. "The problem could be also due to the fact that older actors keep reinventing themselves. Salman Khan is still there, Shah Rukh Khan is still ruling there. Akshay Kumar is there,'' Bedi added. "But Ranbir and Shahid are the two most promising new-generation actors, and I want to see more young actors in Bollywood,'' he said. However, he feels there is no death of young actresses. Later, speaking a discussion on 'Hollywood, Bollywood and Beyond,'' Bedi said Bollywood is a potent symbol of India. He said though has not worked much in Bollywood, he has no hesitation calling himself a Bollywood actor. "Bollywood is the most potent symbol of India. It has promoted (communal) unity. It has promoted Hindi as India's national language. Bollywood unites India,'' he said. All is well between Sonam Kapoor and Shahid Kapoor. At least, that’s what Sonam suggests, while she trashes rumours that suggest she and her Mausam co-star are having ego issues. “Utter rubbish. It’s very sad that such things come up about people I’ve had a great time working with,” she says, also hinting at reports suggesting she wasn’t happy with director Pankaj Kapur’s leisurely shooting schedule. Apparently, she had asked her father Anil Kapoor to sort out the issue with him. 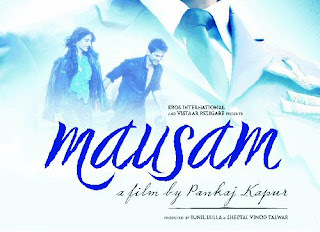 Mausam running behind schedule? “Since it has been hit by a few mishaps and production issues, besides me falling ill, things have been exaggerated. But it’s a special film for me,” she says. After wrapping up Mausam and Abbas-Mustan’s Players, the star is planning to take a short break from work. Her father’s remake of Freaky Friday (2003) is also not scheduled to go on floors in the near future. “We don’t even have a script for it yet,” she explains. Once she returns, is she looking to act in a movie with Anil? together. I will be lucky to share screen space with him,” says Sonam.